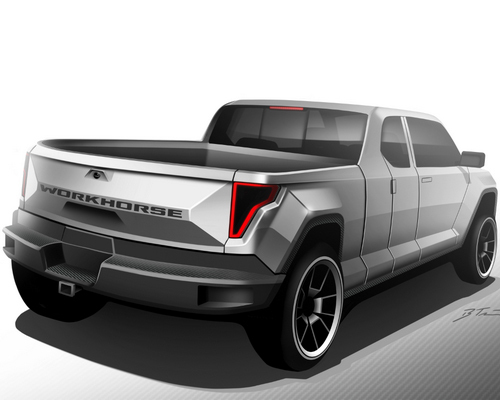 Tinuku ~ Workhorse W-15 plug-in hybrid scheduled the first debut double cabin pickup truck powered electrically ever produced. Workhorse vehicle designed to reach 130 kilometers on single charge battery power is targeted to production in 2018. Ohio-based carmaker announced plans build light transport vehicle using electric power with similar platform as Workhorse E-Gen. The W-15 is not the result of the conversion conventional engines, but built from the beginning has been to use electric power. "We feel combination ability of Panasonic battery and on-board generator pretty good. 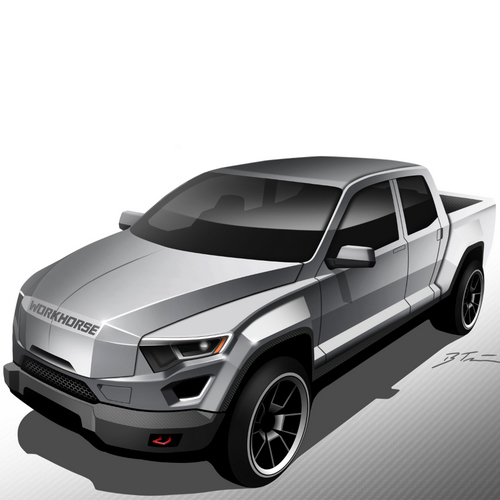 Cars will provide better performance than transport vehicle," said Workhorse CEO Steve Burns. Design released by the company showed W-15 has stocky and strong body. Clear lines and stiff typical American pickup obvious environmentally friendly uses 60 kWh electric motor for generating 268 hp and 2,196 nm maximum torque. Large electric motors for transporting loads at low speeds is ideal for powering trucks under certain conditions. Two-cylinder petrol engine BMW i3 647-cc act purely as an onboard generator. Little engine and fuel tank more freely allowing space for other uses. 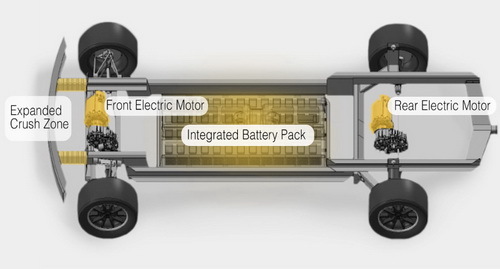 Panasonic lithium-ion cells packed in steel frame rails and between axles. Front and rear motor system allows the truck's four-wheel-drive as well as more sophisticated technologies such as auto-braking. Composite body panels and cabin able to carry five adults. Gross vehicle mass (GVM) is 7200 pounds (3266kg) and cargo capacity of 2,200 pounds (998kg). Thanks to conventional engine front size, W-15 which has front trunk luggage along with larger crumple zones to improve safety.